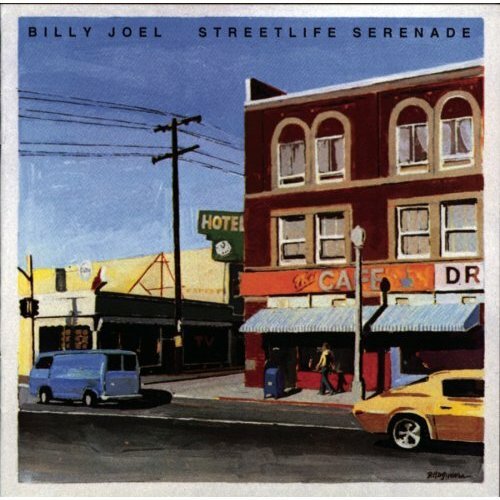 Billy ends Streetlife Serenade with a satisfying instrumental, "The Mexican Connection." The song has a slight western and Mexican feel to it, with a syncopated bass that repeats itself though most of the song and a light use of marimbas. The solid block chords of the bridge are reminiscent of a thunderstorm temporarily disrupting the peaceful Mexican sunset, but then calm and serenity soon return. This was the last time that Billy did an instrumental, notwithstanding the intro to 1977's "The Stranger" or his classical music album Fantasies & Delusions. Too bad, it's a nice mellow song, good for a late night respite. The song was played as an introduction at Billy's concerts for a number of years, being played over the loudspeakers, not performed. Billy has done a few other Latin-tinged songs like this one (e.g., "Rosalina's Eyes" and "Don't Ask Me Why"), and one wishes he had experimented in this genre more often.